In the event of a motor accident, you, the customer, have the final choice where your car is repaired. Most insurance companies use a network of "Recommended Repairers", and they will do their best to convince you that the best place to take your car is their "Recommended Repairer". This has nothing to do with your convenience or the quality of the repair you can expect to get. Accident Damage – your motor insurance rights. Most insurance companies use a network of"Recommended Repairers", and they will do their best to convince you that the best place to take your car is their"Recommended Repairer". This has nothing to do with your convenience or the quality of the repair you can expect to get. It is your right a car insurance policyholder to choose who repairs your vehicle: this has been agreed with the Office of Fair Trading and the Association of British Insurers. Did you also know that you don't need to get 2 estimates? 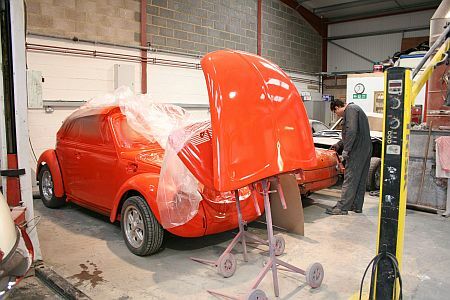 C and R is one of the few workshops that actually specialises in bodywork repair. 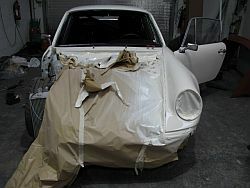 Take a look at what we offer and you can decide who repairs your car, not the insurers. It is particularly important to get good advice when a motor accident is not your fault but you are only covered by Third Party insurance. You may be entitled to a lot more than you think. Having an accident or damaging your vehicle in any way is no laughing matter. Your first concern will be that nobody was hurt. After that, if your vehicle is repairable, you would like to know that it can be returned to the way it looked before... or maybe even better than that. And that's where we come in. 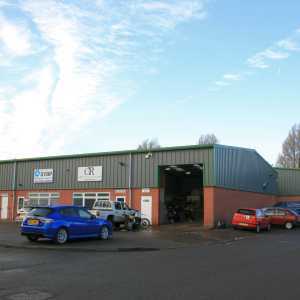 We have always been a family run business, small enough to know you and your cars as individuals, but large enough to offer a complete, professional service.